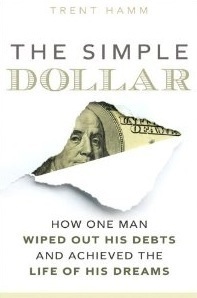 This guest post comes from Trent Hamm, the author of The Simple Dollar: How One Man Wiped Out His Debts and Achieved the Life of His Dreams. Be sure to check out his blog, The Simple Dollar after reading this truly inspiring piece. Today, not only do I believe deeply in that sentence, it underlines every choice I make in life. I turned that disastrous ship around, realized that all of that stuff was standing in the way of my passions and dreams, and in just two short years, I found enough financial freedom to do what I’ve always wanted to do: quit my nine to five job, stay at home, and focus entirely on my family and on my passion for writing. The name of this blog, Unclutterer, really underlines the entire idea. Clutter exists in all aspects of our life, not only in the way we arrange items in our office and in our home, but in how we manage our time and manage our money. Clutter is distraction from the big picture, in every way, shape, and form. Clutter can even blind you and choke you if it grows out of control. Financial clutter is a particularly insidious form of clutter, because it winds through so many aspects of our life. Much of the clutter in our office and home has a financial cost to it, meaning that we actually spent some money to create that clutter. The cluttering of our time is also financial clutter – if we waste our time on things that drain our money or don’t earn as much as we potentially can, we’re draining our financial plans of a great deal of vitality. Here are six great steps that you can do immediately to reduce the financial clutter in your life – and begin to open the path to a truly remarkable life. Calculate the true value of your time. Figure up how much you earn in a year. Now, subtract from that the cost of transporting yourself to and from work, the cost of work clothes, the cost of income taxes, and any other costs that your job foists upon you (like entertaining coworkers, for example). Now, figure up how many hours you actually work in a year, and add to that the time spent transporting yourself to and from work, the “extra” time spent working when at home, the time spent buying work-related materials, the time spent schmoozing with coworkers, the time spent on business trips, the time you “need” to spend unwinding after work, and any other time investments you make at work. Then divide the calculated amount you make by the number of hours you work for the year. That’s how much you really value an hour of your life. Know that number. Remember that number. It’s important. Physically unclutter your living space. Go through all of your possessions and ask yourself whether you actually use it or not. Is it something that has honestly provided value for your life? Look for books you’ve not read, DVDs you’ve only watched a time or two, unplayed games, unlistened music, collections of things that you no longer feel passionate about, and so on. Gather up all of this stuff and estimate how much you’ve spent on it. Then divide it by the value of your time that you calculated above, and if you want to, divide that by 40 (so you can see this in terms of weeks). That’s how much of your life you spent working so you could have this stuff. When I first did this, I estimated that I had spent two years of work accumulating stuff I barely use. The next step is to get rid of all of this stuff and make a clean break. Eliminate the stuff that you’re not using, haven’t used, and likely won’t use again. Get some degree of financial return out of this stuff in any way you can. Don’t worry about maximizing your return – you rarely will be able to make back the value of your time by seeking out a slightly higher return for the stuff. Then take that money and put it into the bank – it’s now your emergency fund so you don’t have to turn to credit cards when something bad happens. Set some big goals – and remind yourself of them all the time. This is an effective way to unclutter your mind. Sit down and figure out what your true big goals are. My goals were to spend more time with my children and write for a living – that’s what I really wanted to do more than anything else. Your goals may differ, but spend some time really searching within yourself to know what they are. Focus in on just one, two, or perhaps three goals that really speak to the core of your life. Once you’ve figured out what you’re really shooting for, let most of the other stuff in your life melt away. If you’re focused on becoming a full-time writer, don’t burden yourself with chasing promotions at work. If you’re focused on being a great parent, don’t spend your mental energy worrying about social obligations in the neighborhood. Focus in on your goal and use all of your energy to reach that goal. The best way I’ve found of keeping on focus with the goal is to put visual reminders of the goal all over the place. My desktop wallpaper is a picture of my children, and I keep pictures of them everywhere. I also keep notepads everywhere to make it easy for me to jot down thoughts – and also to remind myself of my writing dreams. Use the true value of your time – and those visual reminders of your big dreams – every time you consider making a purchase. Let’s say the true value of your time came out to be $5 an hour (it can easily be this low, even at a “good” job). You’re at the store and you’re lusting after buying a Nintendo Wii — it’s $270 after taxes. That’s 54 hours of your life spent working for someone else so you can buy something else to clutter up your home. Even better, that’s $270 (or 54 hours) taken away from your big dream. This works well for small purchases, too. Is that latte worth an actual hour of your life spent working? Is one latte a week for a year worth 52 hours of your life — more than an entire work week? Might that $270 not go better helping you save to make that dream come true, perhaps by helping you build up the financial cushion you need to quit your job and follow that crazy dream? Go through every. single. monthly. bill. Many of the bills you receive every month have some sort of extra fee in it. Look at your cell phone bill, for instance. Are all of those features something you really need to pay for, every single month? Figure out what you don’t need – what’s just cluttering up your bill – then ring up your cell phone company and get those “features” dropped. Look at your credit card bill. Is that finance charge ridiculously high? Call up your credit card company and request a rate reduction. If the first person you talk to says no, ask to talk to a supervisor. Even better are bills you can eliminate entirely. We used to subscribe to Netflix, but we were scarcely watching two movies a month, so we cancelled the service. Now, if we get the itch to watch a movie, we just go rent one or download one — it’s far cheaper than the Netflix grind. We used to be members at a gym, but now we get most of our exercise at home or by jogging around the block, so there goes another substantial chunk of financial clutter. Unclutter your debt. Make a list of every single debt you have — credit cards, student loans, car loans, mortgages, and anything else you have. Write down the total amount you owe and the interest rate you’re paying on that debt. Order them by interest rate. Then, each month, make the minimum payment on each of them, then make a substantial extra payment on the highest interest debt. When that debt disappears, move on to the next one on the list until they’re all gone. The best way to do this is to create a “virtual bill” for you to pay each month. Figure out an amount that you can afford without too much hassle – say, $200 – and then each month give yourself a bill for that amount. That bill is payable to whichever debt is on top of the list. Excellent article! You really made me think about what I earn and how to improve my spending. The cost breakdown of our “stuff” is wonderful! I love uncluttering… but I have a hard time letting go of the need to buy. (My dream/nightmare last night involved just this topic.) This is the next step in my side of our financial journey. Hopefully I can get the husband’s buy-in! Good article and blog. I have found so many useful things on this site. Though many of the suggestions aren’t new, you presented them clearly and well with good illustration when needed. This is going up on my noteboard at home and I’m sending it to my wife and family to see. It really helps, especially the method of calculating what you really earn on an hourly basis and thereby how to improve spending. While I enjoyed most of the article and its suggestions, I have to object to the idea that every time you spend a dollar, you sacrifice a bit of your future. Every time you spend a dollar on something you don’t need, don’t want, don’t love – absolutely. But many dollars we spend – on a mortgage, on food and other necessities, or even on appreciated gifts for others – are investments in ourselves, our future, or our relationships with other people. Or perhaps we need to consider the negative connotations behind a word like “sacrifice” – when I donate $50 to a charitable cause, am I sacrificing a bit of my future? Maybe – but it’s worth doing. Thanks for the guest post, and I look forward to reading more on your blog. Your post reminds me of Your Money or Your Life by Joe Dominguez and Vicki Robin and the PBS film Influenza. Both of these were the starting point of my husband and my financial transformation. We find it is good to get a booster shot a couple of times a year. Thanks for the booster shot! It’s worth noting that this isn’t always the best advice. It’s fine for credit cards but some loans, for example, are calculated in such a way that unless you pay off the full amount in one go, you will still incur the full term’s interest. So by over-paying each month you shorten the length of the term but still pay the full term of interest. A better approach in this situation is to put the extra each month into a high-interest savings account, then using this money to pay off the loan in its entirety. If you can do this then you can get the interest recalculated over the shorter term. The book “The Wealthy Barber” phrased it this way (paraphrased – I don’t have my copy with me) — Every time you waste a dollar you have to earn a dollar and a half to replace it (due to tax liability.) That statement really opened my eyes. We paid extra for our auto loan each month and when the loan was finally paid in full, we received a refund of nearly one month’s payment for overpayment. Paid it off early and received a refund as well. With regard to your suggestion about asking the worth of purchasing something, I have always asked myself whether it was worth what it cost to purchase it in the first place. When I wear something that I purchased at a bargain price, for instance, I get a thrill when it becomes a favorite and I can mentally calculate how the cost per wearing goes down each time I have the opportunity to put it on. This is an excellent entry and I appreciate your having put your thoughts and experiences to word. I look forward to your next posting. I agree with most of the tips in this article, but not with the premise that every dollar spent is a sacrifice. Money exists to be spent. You don’t need to be frivolous and wasteful, but most people I know who obsess over every dollar of their budget aren’t happy either. You have to find the middle ground that lets you build up savings, plan for retirement, and still indulge in the occasional latte or dinner out or nice gift to a friend. Wow that was very inspiring. You’re certainly on the right track. All the best. Hey Trent, good to see you over here :). You make a good point in that each dollar that we choose to spend in one area (and I think the operative words are “choose to spend”… one could say that property taxes and the like are not things I necessarily “choose” to spend my money on, but I have to do it anyway). Still, it’s good to note that, in many cases, areas where we are spending money either should be for a solid utility or for something that ultimately matters greatly to us. As a Boy Scout leader, I frequently pay out of pocket for a number of activities. It would be easy to say that, were I to be less generous with my funds in this manner, than lots of additional money could be placed into my retirement account or other investments. That’s 100% true, yet there’s another kind of investment that I like to make… and that’s in the lives of the boys I’m helping to lead. My ability to put my funds into this endeavor can help to ensure that those boys get to have valuable experiences, things that can potentially help shape their lives in positive ways (my own son included). I guess in a way it could be said that my spending money in this fashion *is* an investment in my future, since it’s a good bet that a number of the doctors, attorneys, police officers, soldiers, businessmen and such that will help me later in life may well come from the rolls of my Boy Scout Troop :). In any event, thank you for the article and your take on things. I love this article. Lately I have been on a mission to unclutter my living space and my finances. Once you head down this path you start making thoughtful decisions on where you really want to spend your money. Most excellent article! I am in the process of paring down/decluttering everything I own (or that owns me), from jewelry to clothing to extra pots and pans. We’ve have had 2 successful garage sales this year and plan to do one more that should take care of the rest of the “stuff”. Whatever is left goes into a box and doesn’t come back into the house. It gets donated to a local church that helps build houses for the poor in Mexico. For those on a mission to declutter their finances and need a place to start, Dave Ramsey’s Total Money Makeover is a great tool. It helps a person start from right where they are, no matter how deep their debt may be. I’m 24, good job, married (recently) — I was creeped out when I read your intro. Fortunately, I have made the inverse of many financial decisions you made at that point in your life. My question is: how do I ideally divide up my paycheck among the various buckets of taxes, living, food, entertainment, retirement, student loans, etc. Is there a site with sample divisions for people in different financial situations? i loved the article. although with my bills i started with the smallest debt first and paid that off first so it felt like i was accomplishing something. i worked great, i am working on my last credit card right now and that will be paid off soon. THE best posting. -Thank you. I need to declutter my cubicle. First I’ll start by taking down all the cartoons I printed and hung up from MyLifeInaCube.com. I can’t get any work done looking at them all day! I just sit and laugh depressingly. If I might add one more thing that I see a lot as an organizer, it’s overbuying. Overbuying happens for two reasons, that I can see. The first is the easy one-they don’t have a list. They go to the store, not sure of what they need so they buy a lot. The second is harder. When they need something, they overbuy out of habit. One is not enough. The second is far harder to overcome since it’s become such a habit. When you are out of an item you need, just buy one replacement or whatever amount is needed until your next date for errands comes up. I’m glad to see people who start to see that it’s not all about stuff. I am totally going to follow this starting today. You woke me up. I do not have children yet, but your advice will definitely help in giving them a better future. Audacious, yet spot on – the way every great piece of advice should go down. It challenges you to think about things a little bit differently and opens your eyes. Very good article. I have to say one additional thing which is along the lines of cutting off things you don’t need like the gym, etc. I’m a young guy so I don’t have to many monthly fees to worry about, but I do have an electric bill which is directly related to the amount of energy I used. I currently have three computers, all of which were on all the time. By reworking how I used each computer (along with a few other saving tips like changing the bulbs I have to the energy efficient kind) I was able to lower my monthly bill from 100 to 80 dollars a month, thats a 20% savings! There are now hard drives being made which are more energy efficient as well and I am going to switch over to those as well (when I need them). This way even though some things need to be on, at least they are using less energy. Thanks for the excellent article, Erin. We downsized a couple of years ago when I left a career of 19 years and started The Simplify Company. We moved into a smaller place and found ourselves with a carport full of stuff we couldn’t physically fit in the new place! It was liberating to get rid of it. Your words are motivational and I’m encouraged by them. Thanks again! Great article! I’ve used my net hourly rate to calculate the cost of purchases before but I’ve never thought to calculate it like you do. Very interesting. Great article. I have been concerned about the way I live my life and about subjects like frugality, possessions, decluttering, balance etc. Your words are wise and agree with almost everything because sometimes, when I spent some euros, they are a good investment on my future. Every time I do this exercise of evaluating my true needs and passions versus what I’m actually doing, I have the opposite reaction. Wow, I totally did you “breaking down the hourly rate for everything work related” when I quit a higher paying (or so I thought) job for a lower paying, working from home job. When I figured in the commuting time and afternoon coffee purchases, I’m actually coming out ahead! I can totally relate. Instead of spending on unnecessary things, I invest, start new businesses – let my money make money. Yes you may have overspend on STUFF, but you did your job for the good of the country. After the 9/11 attacks in New York and D.C. President George said that you should “spend”. So what if that meant sacrificing your child’s future? So what if that meant you would be able to retire the day you breathe your last breath? You did what needed to be done. Dubya should give you a congressional medal of honor for your sacrifices for the country. With many thanks to The Simple Dollar and Get Rich Slowly, I have paid off all but one credit card and I have a lot less than $17,000 in credit card debt. I’m happily using the Snowflake Method. The idea behind this is truly important. I go shopping for groceries every Saturday morning and on the way I get gas. This means that in just over an hour I can spend $200 that can be cut down by organizing so that I am driving less as well as being more aware of the food that I need ro do not need. I do the groceries in a rush without much thought but it is really costing me a lot in the end. Thanks for the great ideas of uncluttering your living area as well as the bill info. Good thoughts, great site! My comment is “all things in moderation”. This blog shows two extreme positions. Happiness is somewhere in the middle. I have a “good” job and enjoy it. I buy stuff because I think that it will enhance my life. I am at a point in my life where I can objectively evaluate the value of each position and I do splurge because I enjoy some stuff now and then. Don’t become so focused and austere to the point of minimalism. We live in fantastic exciting times; enjoy them…moderately! My husband and I started this process several years ago out of a sense of emergency because I had just lost my job. It was probably one of the best things that could have ever happened to us, financially. We were forced to cut nearly every “extra” expense out of our lives for about 2 years, until we started getting back on our feet again. But now, as things progressively get better, we are still being careful with our money and putting it towards savings and paying off debts because we don’t want to ever be in the same position again, and also because our life goals have broadened and the idea of accumulating “stuff” just isn’t as appealing anymore. Mary- I love ‘The Wealthy Barber’! The quote from my book is ” A dollar saved is two dollars earned.” He explains how with deductions, taxes etc. that a two dollar raise really only equates to a little over a dollar in take home raise. Better to save a dollar instead and make it work for you! If there are any Canadians out there, I really recommend David Chilton’s “Wealthy Barber” book. It’s a great help when getting your financial house in order. One thing to think about: What DROVE you to collect all that “stuff”? You thought you needed it at the time. Why? Consider advertising to be a form of (very sophisticated) brain-washing. It works. Are you immune? I’m not. I just try to limit my exposure to it. You should at least limit the exposure of your child if not yourself. Dont forget that when you purchase that Wii, that XBox, PS3 or even PC game, these not only cost on the front-end, but they are time (and therefore money) sinkholes. How many hours of WOW do you have to play to get the dishes cleaned, the house organized, or your Chase card paid off? Thanks for this article. Well done. I am so glad that not everyone’s dream is to be a full time writer. Yes we do need great philosophers to lead humanity to higher morals. But we need much more others who build, teach, heal and feed humanity. You do not have to quit your 9 to 5 job to be financially free. Just pay your credit cards in full each month and if you can not do it do not buy. Think how you can spend your free time ( out of 9-5 hours) without spending money, go outside, read to your kids, talk to your friends or help your neighbor. And besides your 9-5 job can be the only way to fulfill your dream of being part of the progress made by humanity as whole.